Our membership service provides US mutual fund boards with vital and actionable intelligence essential for fund oversight. 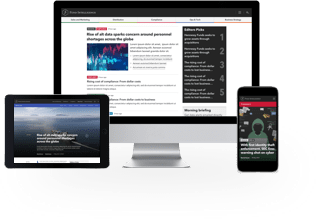 Fund Directions offers market-leading insight into the latest industry, regulatory and legal developments impacting fund directors. Our coverage and events focus on how boardrooms across the US are tackling a range of governance priorities. Gain insights into sales, marketing and distribution strategies, compliance and regulatory developments, operations & technology, human capital decisions, corporate strategy and the private wealth space, condensed and presented with a focus on clarity and simplicity.